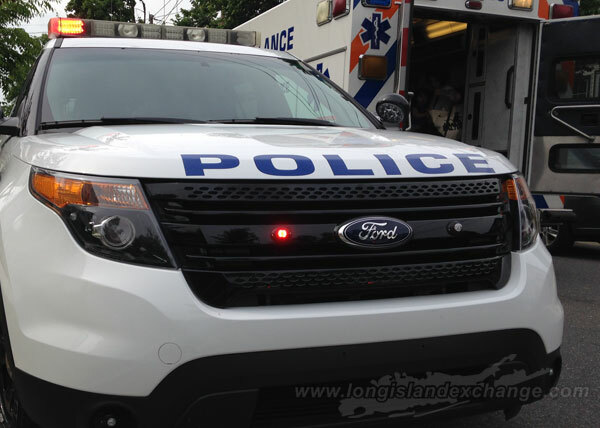 (Long Island, NY) Homicide Squad detectives report the details of a fatal motor vehicle accident involving a pedestrian that occurred on Saturday, September 12, 2015 at 12:49 am in Hempstead. According to detectives, while attempting to cross Clinton Street, north of Lincoln Boulevard, Karen Diaz, 41, no known address, was struck by vehicle driven northbound by a 46 year old male. Nassau County Police report the details of a fatal motor vehicle accident involving a pedestrian that occurred on Saturday, September 12 in Hempstead. Photo Credit: Chris Boyle. As a result of the collision, the victim, who suffered multiple trauma injuries, was transported to an area hospital and a short time later was pronounced deceased by a staff physician. The vehicle was impounded from the scene for brake and safety checks and the investigation into this accident, which was absent of criminality, continues.